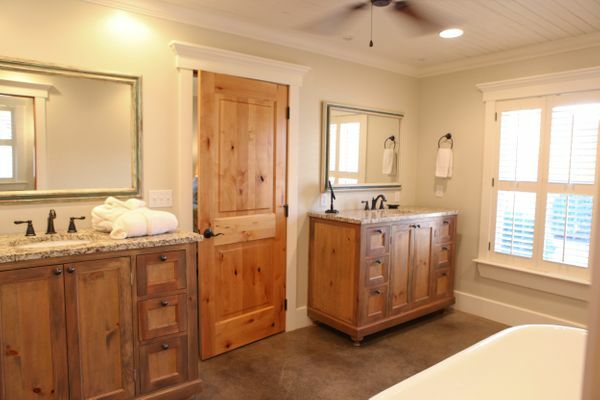 Comfortable, cozy and tucked away, The Cottage is one of our newest additions. The stand- alone cottage’s covered front porch has two rocking chairs and a small bistro table. 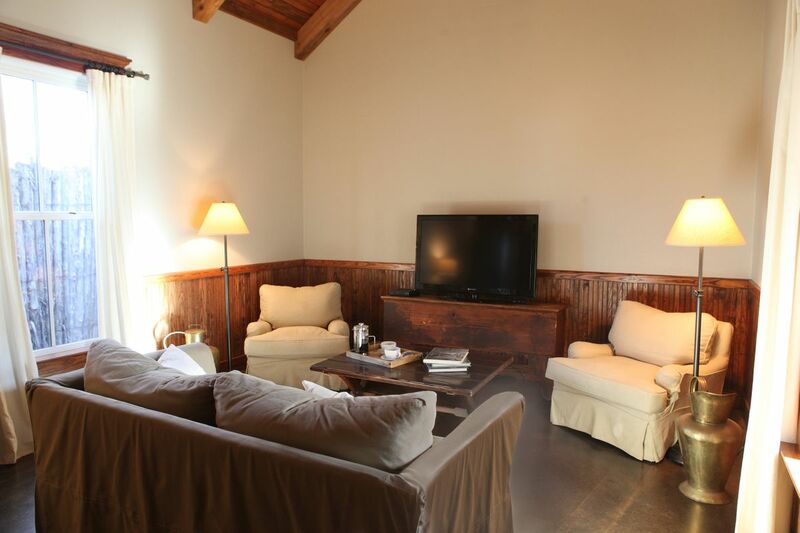 Its living room has an impressive vaulted ceiling, giving it a wonderful, spacious feel. The living room also has an inviting upholstered sofa and armchairs, as well as an armoire that has been converted into a butler’s pantry. 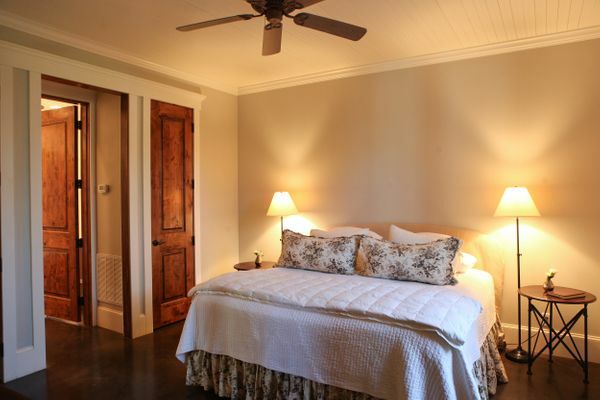 The bedroom has a restful, plush bed. 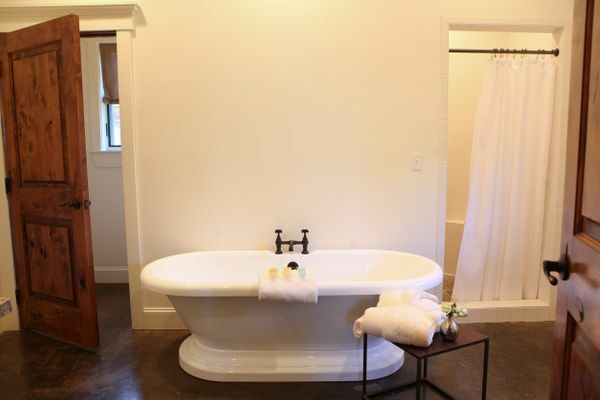 The large bathroom has two vanities, a soaking tub and separate walk-in shower.